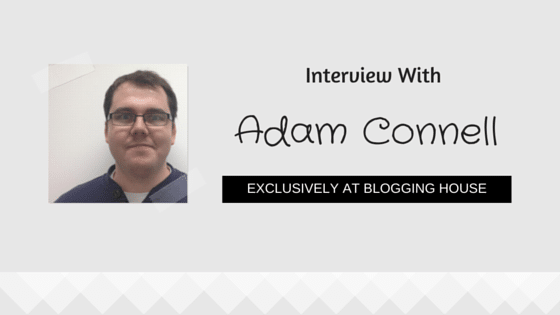 This is another interview by Blogging House. This time, we invited a digital marketer from Pakistan. As you know, digital marketing is the thing that every businessman is aware of. Blogging and SEO are also a part of Digital Marketing. Today, we are going to have a chat with Ali Raza, he is a popular blogger, digital marketer, SEO and a trainer in Pakistan. Ali Raza was invited to many events as a guest or speaker. He got certificates from many online authorities which include Google and Microsoft. I met Ali Raza at [email protected]’s roundtable which was in Lahore held on 3rd May 2016. Ali Raza was featured on several online blogs, he was also featured on MatthewWoodWard‘s blog. 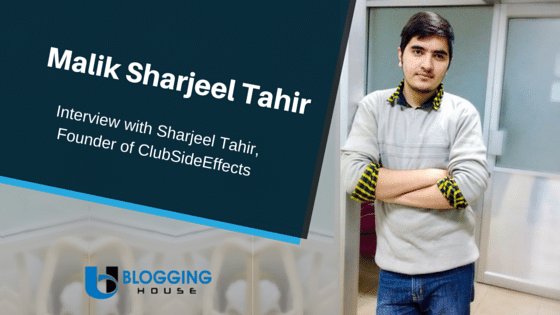 He is one of the most well-known digital marketers in Pakistan. 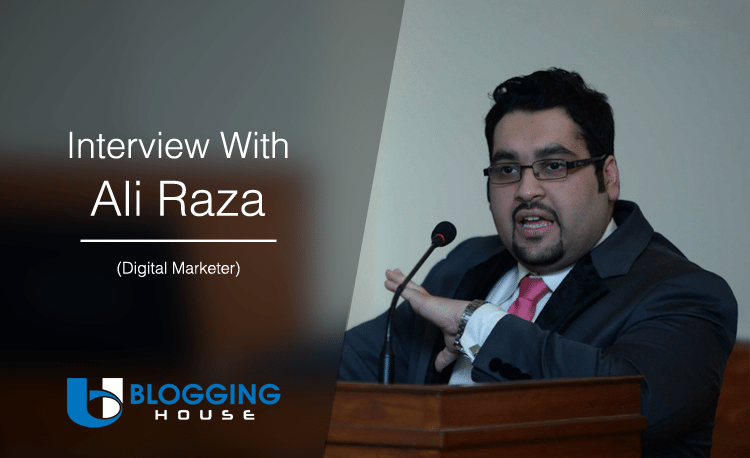 In this interview, I would introduce Ali Raza and ask him about some blogging questions. Let’s start the interview. 1. Ali Raza, Please introduce a little bit about you. 2. How your journey of Digital Marketing started? Have you started from any institute? I’m a self learner, I self learned most of the things, but I took my first SEO certificate from WebCeo online. 3. What is the reason behind you’re blogging? I want to share my opinion, my words, my strategies with the world and which is why, my blog is being founded. I’m also blogging for networking and more customer acquisition purposes. 4. How much time do you spend on blogging? Blogging requires consistency, if you can’t invest time, you can’t earn money, just like time is money. You need to invest money to earn money. 5. Your content is really informative and interesting, how do you write content that grabs attention? Thanks for that, When I write, I make sure there is no better article available over the internet as compared to mine. Thats the only strategy which works for me. 6. I have seen that you are featured in many websites, Tell us how do you get mentioned? Networking, Networking and Networking. Build Connections, let people know about you and establish yourself as an authority in your subject. Eventually people will start noticing you. 7. What is your future plan for digital marketing? Digital Marketing is my passion. Marketing runs in my blood. I will keep on doing what i’m doing right now. 8. What is your favourite method/strategy of getting visitors? I like inbound marketing strategy. Let people reach my blog for their needs and I’m eventually get paid for that. 9. Name any three of your favourite tools that you use. I use Trello, Semrush and iOS. The iOS notes feature beats everything specially with it’s cross device synchronisation across all of my iOs devices including Macbook. 10. Tell us the name of the personalities or blogger from which you’re inspired? My Blog is the result of inspiration from Matthew Wood Ward, so the credit for my blogging goes to him. A part from that, my father is my inspiration. 11. 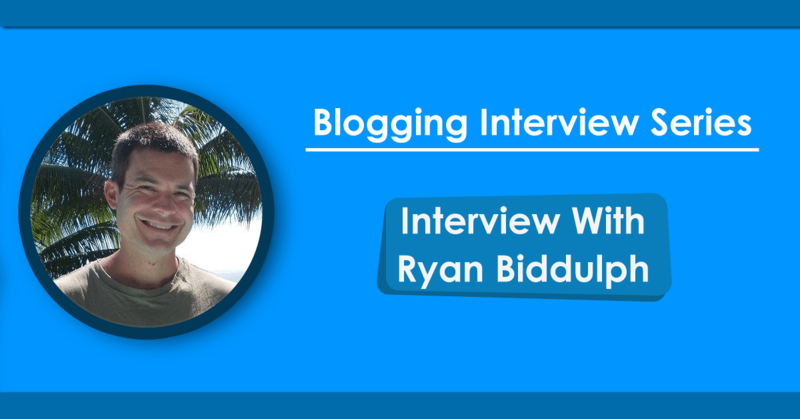 What is your blogging tip for BLOGGINGHOUSE readers? Haseeb you are doing good job for your blog, I have best wishes for you ahead. As far as a tip is concerned, the only blogging tip i would like to give everyone is ‘Consistency’. If you cant be consistent in that, you can never be successful in your journey. Whatever people say, keep up the good work, keep following your passion even your audience is small because consistency is gonna change everything for you. 12. How our readers can reach you? Your readers can reach me on my blog -> Ali Raza (http://aliraza.co). Thanks Ali Raza for joining this interview. I hope our readers gain many benefits after reading your interview. Hey readers! Tell us about your opinion in the comments. We would love to read your feedback about this interview. If you like this interview then kindly spread the word! Glad to see myself here, I wish you all the best for the your future journey. No doubt self learning is the best learning. It’s such an inspirational. Interview. The way you started your journey here thats amazing. Thank You Satya, I have best wishes for you ahead. Thanks Sameer for leaving such great comments, I appreciate. Best wishes for you and for your future, good luck! Great interview you have written.Can you provide me Ali Raza’s contact information? I want to learn something from him.